I love meatballs (including meatless meatballs). They’re just my thing. I love to know that I have some waiting for me in the fridge so that I can pick them directly from the container. It’s one of the best things in the whole world especially if done when no one's looking. However, meatballs can be dangerous, especially if loaded with unhealthy ingredients, and deep fried. That's why I like to load them with healthy ingredients and, whenever possible, bake them! These meatballs are delicious. Loaded with zucchini, mint and parsley: an awesome triptych. Making them is a cinch, and does not involve too much work nor planning. What possibly do you want more? 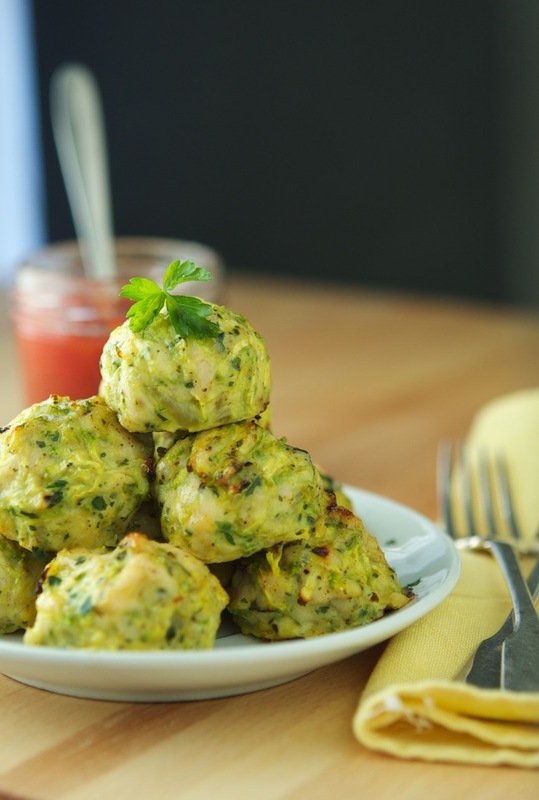 Baked Chicken Zucchini Meatballs Print this Recipe! Preheat oven to 400°F (200°C) with a rack in the upper third of the oven. Line a baking sheet with parchment paper. In a large bowl, combine all the ingredients and mix very well (using your hands will deliver better results). 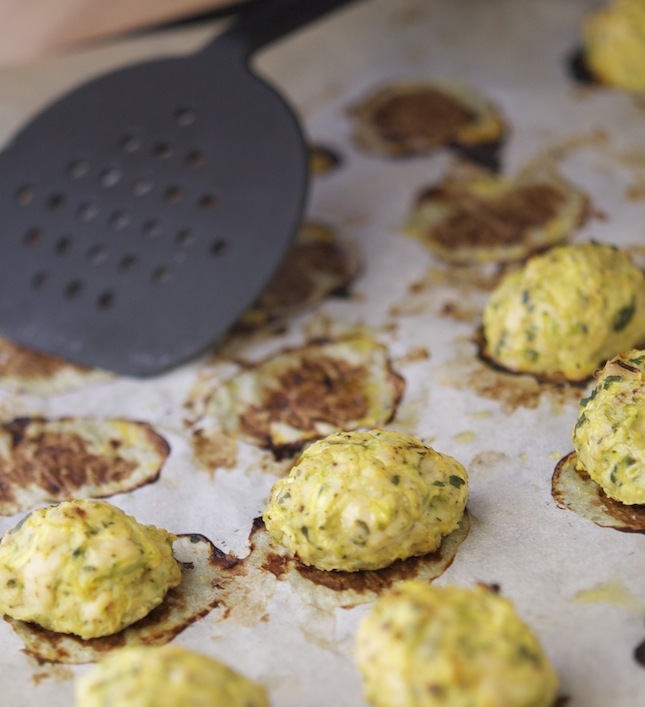 Scoop one tablespoon of the mixture, shape into meatballs and arrange on the baking sheet. If you feel particularly indulgent you can brush some olive oil on top of the meatballs. Place the baking sheet in the oven until meatballs are just cooked through, about 20 minutes (you can brown the top carefully under a broiler for one more minute, which is what I did). One meatball yields 28.5 calories 0.3 grams of fat, 1 gram of carbs and 5.3 grams of protein. They look divine, can't wait to try them! All items are looking so delicious. I am waiting to taste all of items. So attractive. These look so delicious! Thank you for the recipe. Two meatballs had already gone missing as you took the pic..... TheNaughtyYou!! This recipe looks fabulous! I have Ottolenghi's Plenty and just love his creations. I must try this dish - thank you so much for sharing! These look delicious...can't wait to try them, dipped in some marina sauce. Made these for dinner tonight. Delicious. Definitely worth making. Easy and quick and very tasty. Has anyone made these in advance and frozen them? How did they turn out?